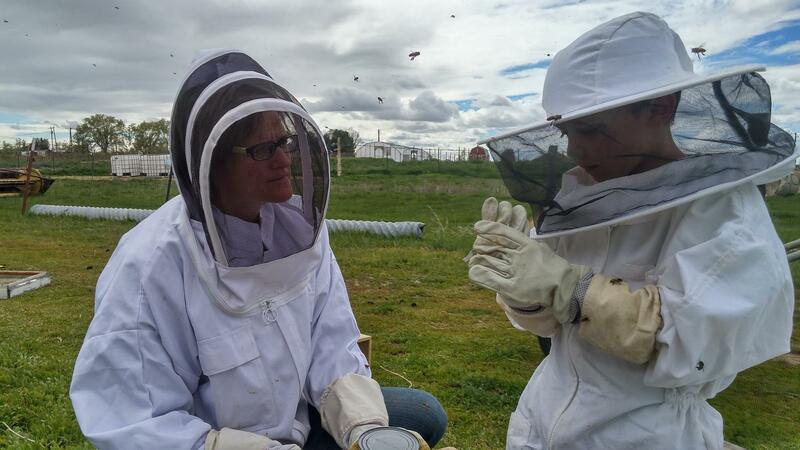 This is a hands-on class geared toward those who are either getting bees, or have bees and would like a little more information and supervised experience handling them. Click here to register. It is recommended that you have attended the intro class or have read and have a basic understanding of bees and terminology. (First Lessons in Beekeeping is a great book to start with!) There are live bees in this class, participants will have the opportunity to see inside and work actual colonies. We will open hives and look for some of the things we talked about in the introduction course, including how to identify brood and the stages they are in, whether the queen is functioning properly, identifying and treating disease, and more. Please bring protective gear (suits, veils, gloves, etc.) if you have them. (We will have a few suits and veils available for use, or they can be purchased here.) Cost is $30/person, $45/couple. You must pre-register, class size is limited. Click here to register.